► A french brand which manufactures, assembles and markets electric mopeds homologated 50cc. In urban or off-road versions, the models combine pleasure and performance for maximum fun! ► Total control of the production line. ► A manufacturing workshop located in Brassac-les-Mines in France. Working with European subcontractors permit us to be more reactive, to ensure seamless product quality and to evolve rapidly in order to meet the consumer demand. ► A range of electric mopeds which combining pleasure and performance. eTricks makes the difference with innovation. The team provides daily efforts to meet the challenge, and go further in the technical performance of the vehicles. 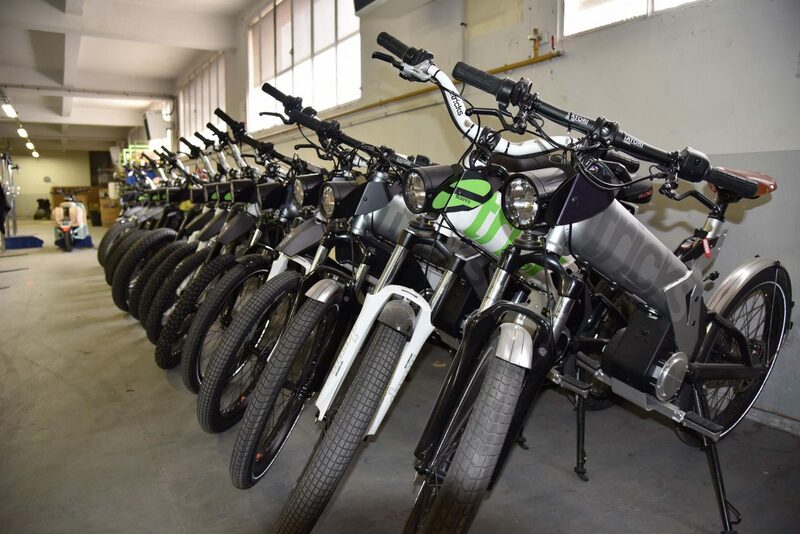 Drivetrains, handlebars, indicators, hubs… All these parts are manufactured in our EMI factory in Brassac-les-Mines in France. A guarantee of quality “made in France”. All parts received are thoroughly checked in the workshop before starting the assembly by hand. eTricks realizes performance tests of it’s vehicles in real conditions in order to anticipate possible improvements to be made. eTricks continues it’s “sustainable” commitment by designing environmentally friendly products. All it’s vehicles are equipped with electric, silent and economical motors. It’s electrical recharge cost is around €60 for 10,000 km.